Aurora is the natural light in the polar sky. Inspired by the beautiful aurora colors that enlighten the dark, Zyxel Aurora Cloud Access Camera features an intelligent color LED indicator that records color night vision even in low-light environments. We aim to provide users more security even they are away from home. 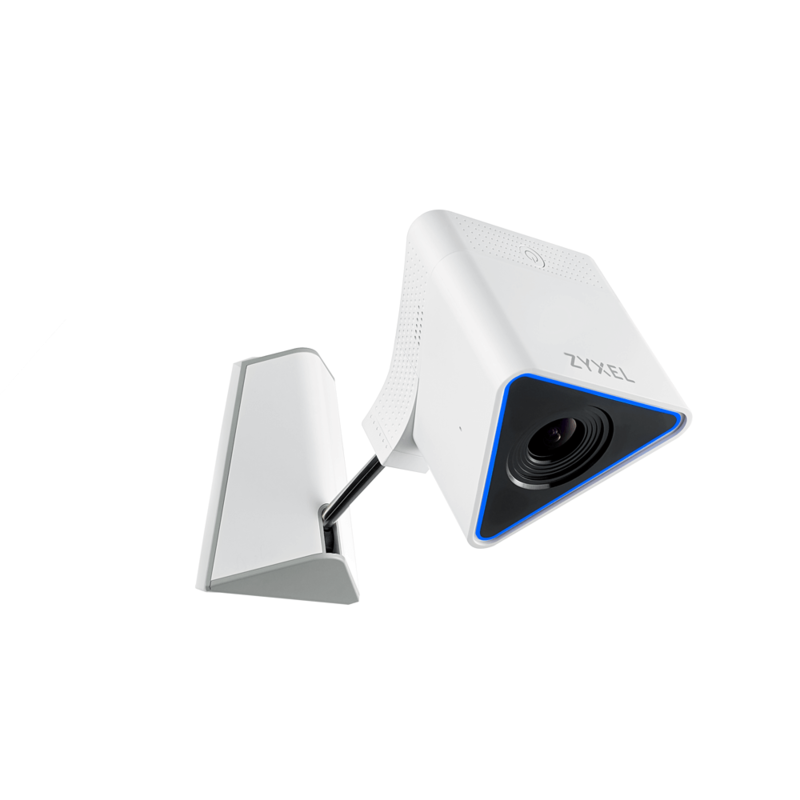 We designed the Zyxel Aurora Cloud Access Camera to match all types of surfaces or environments. You can put the stand away to have the cam hidden, or you can stick it on the fridge or metallic shelf with a magnet holder to easily watch over your backyard. We also provide a set of wall mount kit for expansion. It works wherever you are in the world with myZyxelCloud. Complete with a simple single sign-on account, you can quickly get the live view of your Zyxel Aurora Cloud Access. Equipped with 16GB storage, you have enough time to react and check the footage of what had happened in the captured area! The Zyxel Aurora can capture it all in full color even in low-light conditions. No more ghostly monochromatic recordings for you to only speculate who had intruded your property. Aurora is powered with a Sony sensor and paired with large F2.0 aperture lens, the Aurora is able to capture low light environments with high definition quality while retaining color. 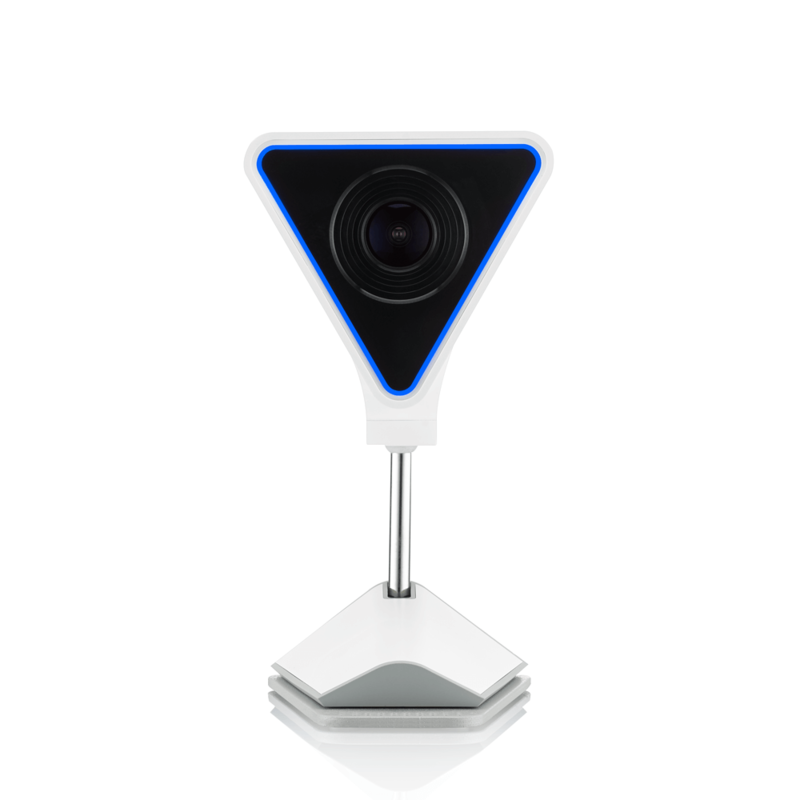 Capture a full large room with its ultra wide angle 145° lens. Multifunction LED lights can be used to startup your camera. During the installation, it shows different colors to indicate statuses like standby mode, Wi-Fi connection, or firmware upgrade. The LED can be turned on in a complete dark room as a fill light. You can access the latest events triggered by motions on mobile phones, or you can receive three snapshots of the movement via email. The Zyxel Aurora keeps the recording history for at least 1 second before the motion triggers and continues recording for 30 seconds. We make sure you won’t miss any important scene. 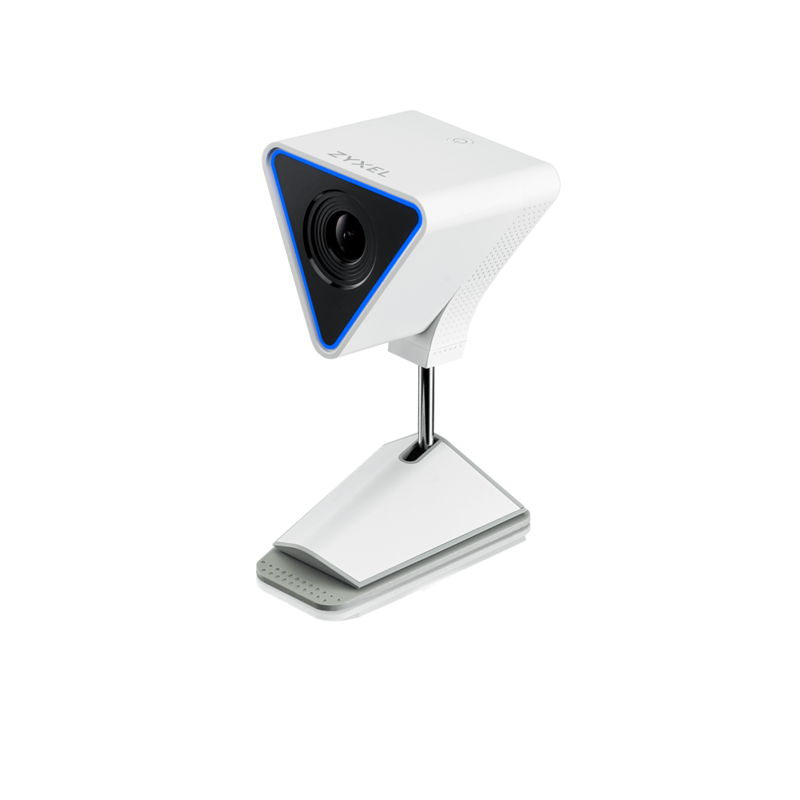 Just attach a PoE module to the Zyxel Aurora for a cleaner, simpler look; or you can have the Aurora camera to scare off intruders with an alarm. Just attach the alarm module to the Aurora camera to fend off intruders with its loud sound and allow neighbors to know there’s something wrong in your house. The Zyxel Aurora’s modular systems enable you to customize your security needs. Quickly get your home secured with Zyxel’s guided step-by-step Aurora app. Use your smartphone to quickly get the Zyxel Aurora camera up and running in a few minutes. No additional fee for watching streaming video or to receive push notification on you phone or by Email. Name your Aurora cameras and tune the camera settings to your need. Upgrade Aurora cameras with the latest software version here. The Aurora camera offers high flexibility on when you would like to record. Set certain areas for motion detection to prevent detection errors including, but not limited to: curtain movements, wind blown objects, and many more. Capture only the necessary areas without being bothered by unnecessary alerts. 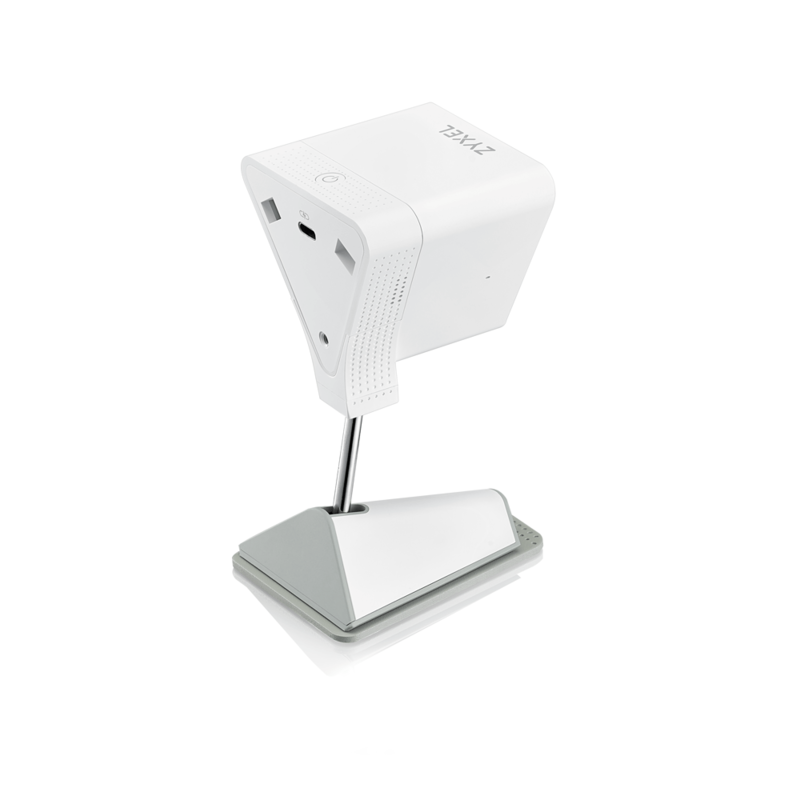 Get notifications when events occurred are captured from your Aurora camera. Not only does the app offer notifications, but also get email notifications, so that you never miss what’s happening. If you need more storage for recording, grab a Zyxel Personal Cloud Storage device to safely store your recordings and choose the storage capacity you want. No more need to figure out monthly payment plans of typical online cloud service or to worry about if your recordings are viewed without authorization; because you control where your recordings go with Zyxel’s all-in-one solution. Record and live stream continuously 24/7 with the 16GB free embedded storage, or you can store more data to the Zyxel personal cloud storage. Download the Zyxel CAM3115 Datasheet (PDF).